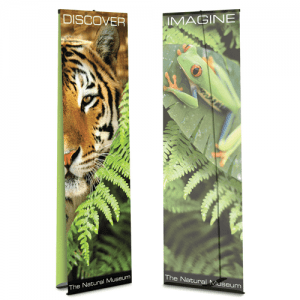 Park Press is a printing company that has been around since 1934, we are the premier resource for banner installation and sign installation in Boston, Massachusetts. This magical city is one of the most important centers of culture and commerce in the entire country, with multiple museums, several different universities and colleges, and numerous extraordinary, must-see historic sites. We have developed many relationships in town over the years, and we look forward to making new ones as time goes on. From Southie to Dorchester to Jamaica Plain to Beacon Hill, for sign installation and banner installation in Boston, MA Park Press is the name to remember. No Assignment Is Too Challenging! Some sign installation jobs can be quite difficult to complete, because there can be heights and tricky angles involved. Plus, if the sign in question is particularly large and heavy, you need the right type of equipment to put it securely into place. We have a tremendous amount of experience with sign installation projects of all kinds, and we have vast capabilities, so no job is too large for Park Press Printers. Vinyl graphics have become very popular, and we have a great deal of expertise in this area. We have the ability to produce large format graphics of all kinds, and we can handle the Boston, MA large format graphics installation chores. In some cases, vinyl graphics will be applied to stationary objects and walls, but vinyl vehicle wraps are also very effective. When your commercial vehicles are carrying your advertising message, you are reaching millions of people each and every year. This is a very efficient form of advertising, and our adhesive vinyl design and installation professionals can transform your vehicles into a fleet of mobile billboards. Window decals can also be part of the equation, and our professional Boston, Massachusetts decal installers are always standing by to help if you are interested in window decals for your vehicles or your brick and mortar location. Contact Park Press Printers Today! We have been able to build our business over a period of 80 years because of our firm commitment to total customer satisfaction every step of the way. Our knowledgeable Boston, MA sign installation and graphic installation consultants are standing by right now to answer all of your questions, and we can be reached by phone at 800-351-1400. Or fill out the quick contact form below.